Co-authored with Rebecca Wald, publisher of Beyond the Bris, a web-based project about the Jewish movement to question infant circumcision. Historians debate the origins of circumcision, but we know that it has been practiced since at least the beginning of recorded history, and not exclusively by Jewish people. There is evidence that the ancient Egyptians circumcised. It's even possible that the early Hebrews adopted the practice, by choice or by force, from them. Although viewed by the very religious as a commandment directly from God, according to Jewish law, circumcision is not what makes a boy or a man Jewish. Moreover, throughout history, there have been instances when circumcision has been neglected and even rejected. For example, in the 1840s, a number of Jewish leaders in Europe advocated abolishing circumcision in favor of a bris that did not include it. While this reform was never adopted, some Jews continued to challenge the necessity of circumcision. Questions have been raised about whether Sigmund Freud circumcised his sons. Noted psychiatrist Wilhelm Reich wrote passionately against the practice. Theodor Herzl, the father of modern political Zionism, left his son intact. Even within the scope of modern observance, brit milah is not universal. From its inception in 1963, Humanistic Judaism has eschewed the rite, citing its theism and gender bias. Instead it favors naming ceremonies for girls and boys alike. Jewish Humanists view circumcision as a matter of parental choice and feel that if done at all, it should be in a hospital setting without any attendant ritual. Many Jewish Americans circumcise for cultural rather than religious reasons. Jewish children are circumcised in hospitals every day alongside non-Jewish newborns. In countries where circumcision is not the norm, such as Sweden, there's a long history of secular Jews leaving their sons intact. People are becoming increasingly open to the idea that circumcision may do more harm than good. Some feel this is a choice best made when a man can weigh the pros and cons for himself. It's no surprise that Jews are among those considering these ideas. We're often at the forefront of social movements. We are also known for being proactive when it comes to the health and well-being of our children. Young couples today are embracing the idea of natural parenting, including birth without unnecessary intervention, breastfeeding on demand, and close physical and emotional contact between caregiver and infant. Some feel circumcision is incompatible with these values. 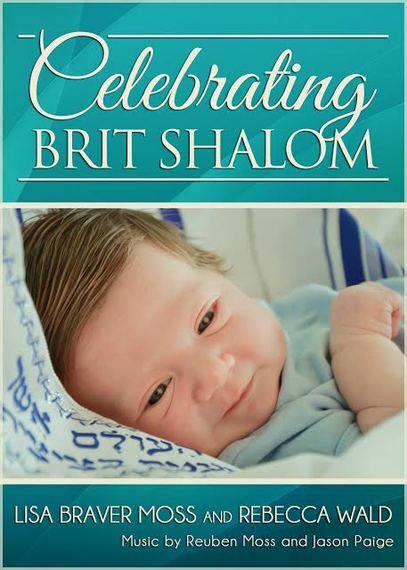 For parents who wish to forgo brit milah, brit shalom is becoming a popular alternative. Recent years have seen a steady rise in brit shalom families, although ceremonies to welcome intact Jewish boys have been taking place in informal ways for several decades. They have gone by various names, including brit b'li milah (covenant without circumcision), brit chayim (covenant of life), and brit ben (covenant for a son). The term brit shalom (covenant of peace) was possibly first used to describe a covenantal ceremony without circumcision by Rabbi Natan Segal in the early 1980s. Dr. Mark Reiss, a founder of the group Doctors Opposing Circumcision, has long maintained a web page listing rabbis and others who openly perform these ceremonies. As of 2015 the list includes over 130 rabbis -- and it continues to grow. There are many more rabbis who offer brit shalom if asked. In recent years synagogues have engaged in considerable outreach to encourage participation and affiliation. Non-traditional families, including interfaith couples, gay and lesbian Jews, and multi-ethnic Jews, are being sought out and embraced. The goal is to celebrate the diversity of Judaism -- to acknowledge that families come in different forms and to welcome all of them. It's time for brit shalom families to be openly included. The Jewish world benefits from a vibrant constituency that participates thoughtfully and passionately in Jewish life. Seen in this light, brit shalom families are integral to the vitality and continuity of contemporary Judaism.